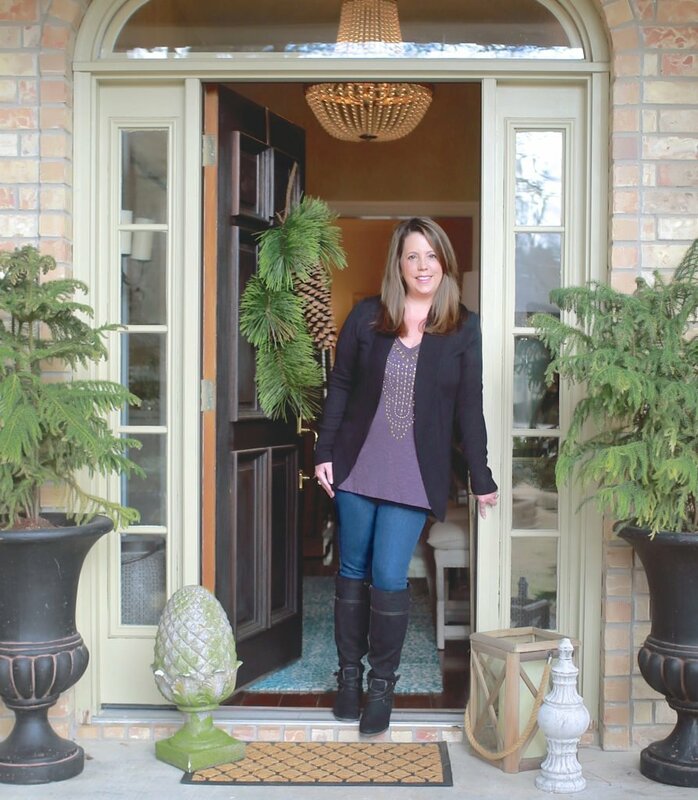 I am so excited to team up with Brookside Dark Chocolate to share some super easy and creative ways to give chocolates and sweet treats today. This could not have come at a better time for me because every year, I give chocolates in fun ways for holiday gifts because pretty much everyone loves to receive chocolate, especially if you get creative in the packaging! 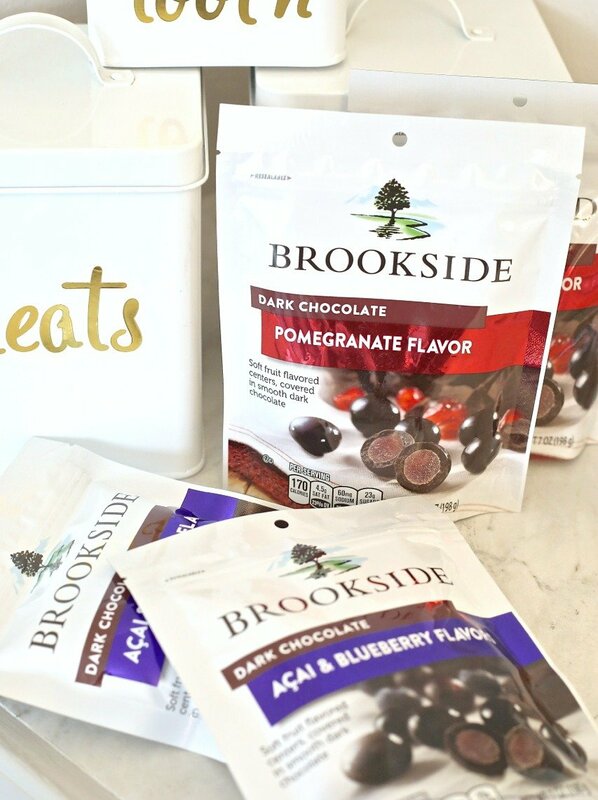 This year, I’m giving my friends and my daughter’s teachers the Brookside Dark Chocolates that come in different flavors (Pomegranate, Acai & Blueberry and Goji & Raspberry). If you’ve never tried these little balls of heaven before, they are so good and I love the combination of dark chocolate mixed with those flavors. You can see just how the burst of yummy flavors come together deliciously in this pin below. I’m giving the Brookside Dark Chocolates slipped into white tin canisters that I have labeled with gold foil sticker letters. 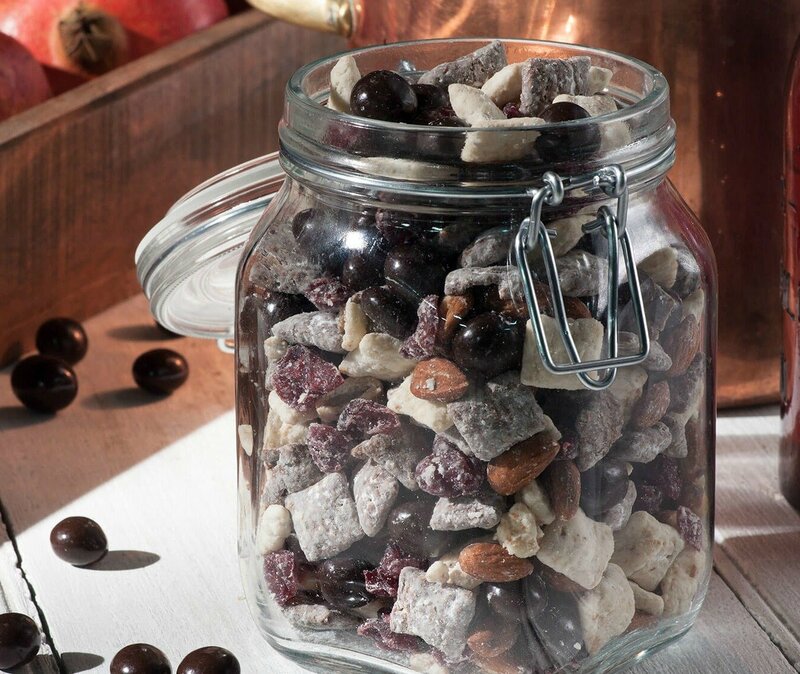 Everyone can always use a storage canister filled with yummy chocolates, right?! For some people, I’m also slipping in a gift card as well. 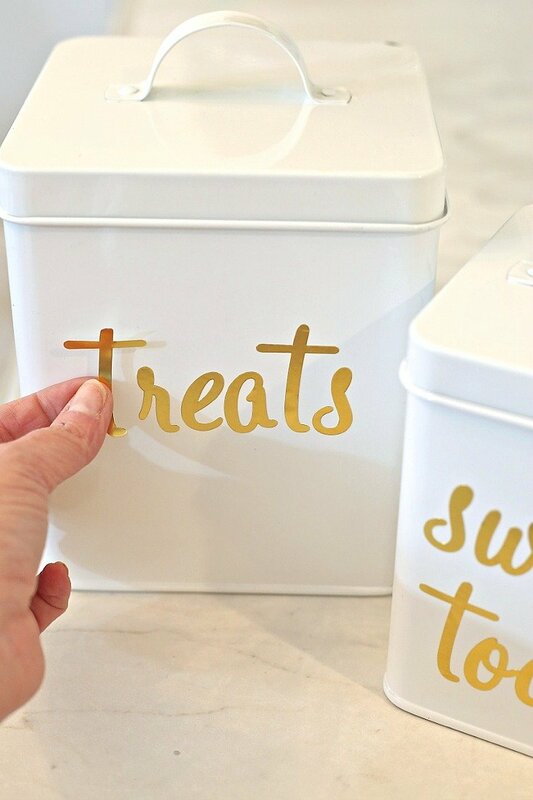 I have been on a labeling frenzy ever since these fun gold foil sticker letters have come out because they are permanent, extremely thin and look like beautiful gold leaf lettering when you attach them. 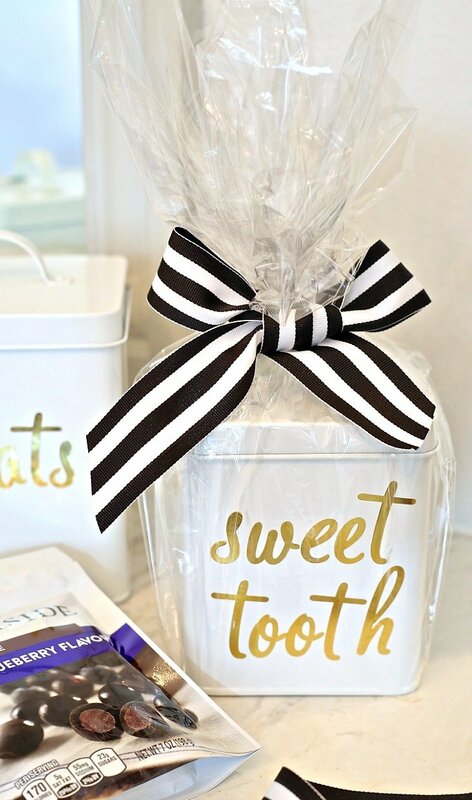 By the way, the gold foil letters will work on plastic and glass storage canisters too! 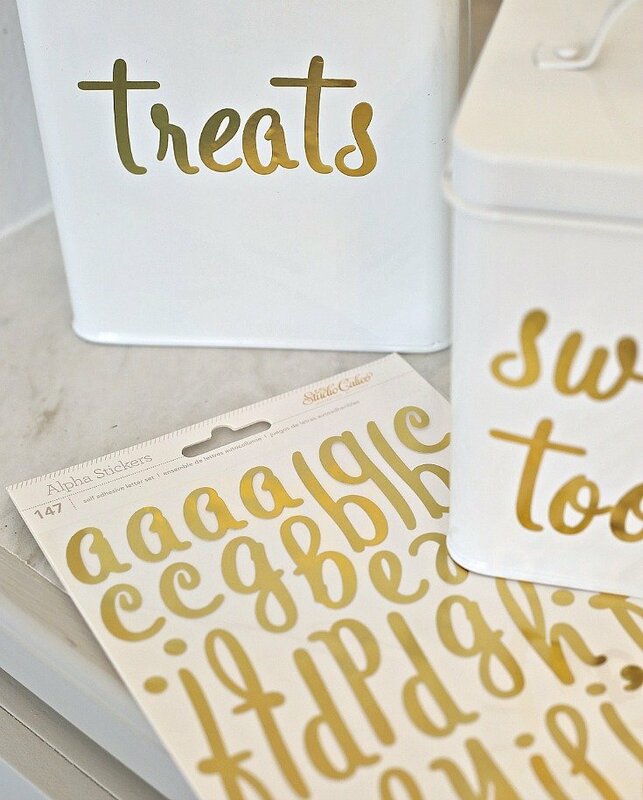 You can get gold foil sticker letters at your local craft store or Walmart and there are several different fonts to choose from. There is silver too! When you attach your sticker letters to metal, glass or plastic, just be sure and clean the area first with alcohol and dry it. This will ensure the adhesive is permanent and that any little particles do not get under the foil part of the letter. Also, I do not rub in the letters fully flush until I get all the letters on, just in case I need to reposition. You’ll notice too that one of the tin canisters I labeled says “Snack Mix”. That’s because I’m also making Brookside Dark Chocolates Checkered Party Mix made with the Brookside Dark Chocolates and giving it to neighbors. I came across it while looking at their website and the recipe sounds really good! 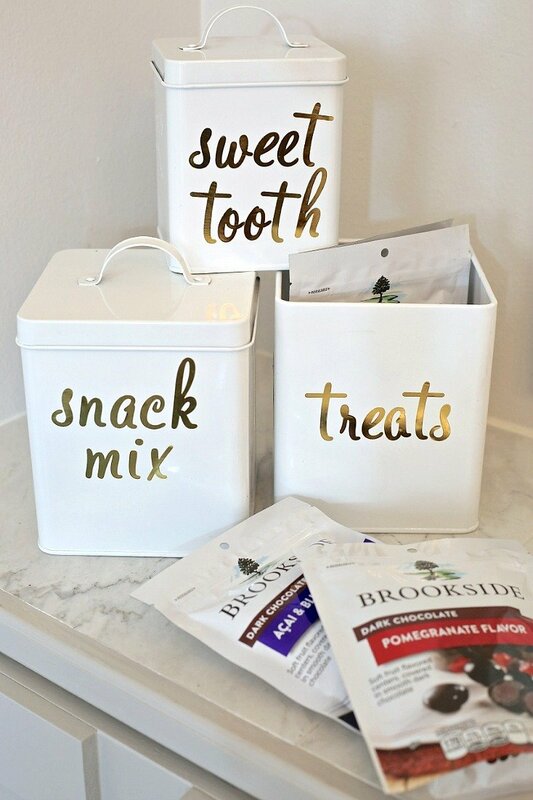 When you’re finished labeling your canister and filling with Brookside Dark Chocolates, simply wrap the canister in cellophane and tie a bow. 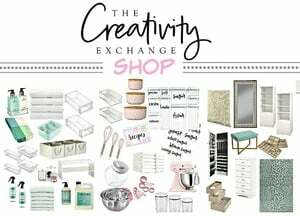 I’m so excited about this idea this year! 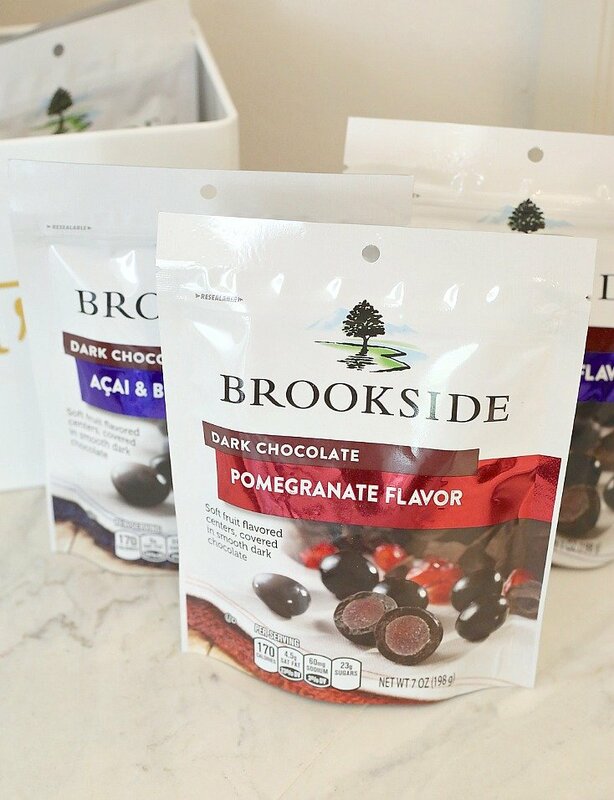 It really doesn’t get much easier or tastier thanks to those yummy Brookside Dark Chocolates! They look great! I’ve had the candies and they are delicious! Love the white canisters and wondering if you painted these or store-bought? It really looks great with the gold lettering and ribbon. My next project before the holidays are over? Merry Christmas, Cyndy!